If your home has been around even before the 90’s, then there might be asbestos within the premises. Over the last century, asbestos has been rampantly used in a lot of building materials. In today’s post, we’ll discuss the asbestos removal process, and what to do when you find it in your home. Asbestos is a building material made of silica mineral that is comprised of fibers. These fibers, which are fire and corrosion resistant, make asbestos a popular building material, as they give other elements strength and support. It was later found out that asbestos is not the miracle material it’s made out to be. Studies revealed that it’s a cause for many medical concerns – one of which is a condition called mesothelioma. Mesothelioma is cancer associated with this material. You can get it from being exposed for prolonged periods to asbestos fibers by inhaling them. This type of cancer was frequently discovered in asbestos miners, as well as electricians, plumbers, mechanics, shipyard workers; they are exposed to the material due to their employment. Here are the steps to follow when you find asbestos in your home. Like we’ve mentioned above, if your house was constructed or renovated before 1990, there is a high possibility that it has asbestos. 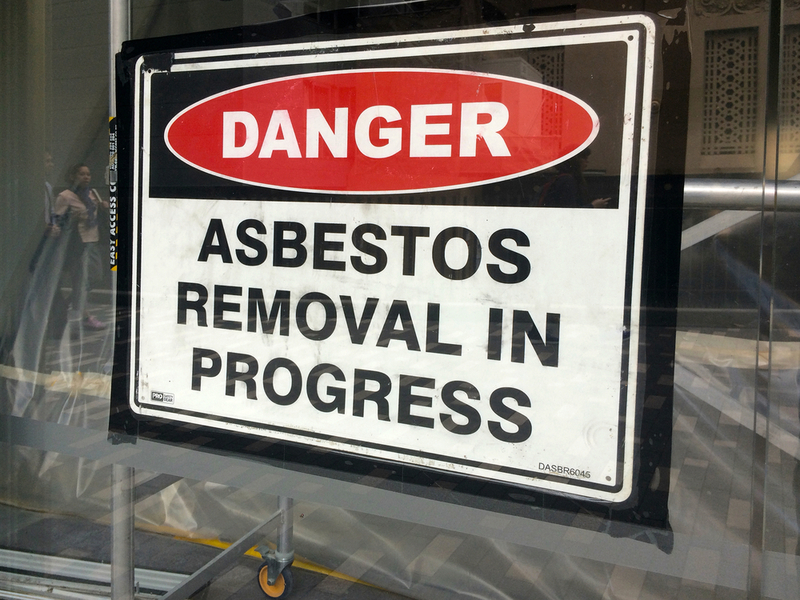 Contact a professional asbestos removal company right away. With that being said, it’s a better decision to leave this material undisturbed if it’s not an imminent threat to you or your family members’ health. If there are no visible damage or cracks in the walls, it’s best to leave the asbestos alone. To better assess your asbestos situation, it’s still a good idea to contact an asbestos removal company so they can adequately identify if there are any asbestos materials in your home. If there is a confirmation that there’s asbestos in your home, do not touch or move it. This material poses a grave health risk. And since it’s made of microscopic fibers, if the asbestos is accidentally moved or disturbed, then it can enter your body through inhalation, which is extremely dangerous. The hazardous fibers will linger in the lungs after it has been inhaled; and it can result in severe health problems such as mesothelioma, a type of lung cancer caused by asbestos. When you find asbestos, don’t touch it. Contact professional residential asbestos removal company immediately. The only ones qualified to remove asbestos are licensed professionals. Never attempt to go the do-it-yourself route as it may seriously harm you and increase your risk of getting cancer. On top of that, removing the parts of the house infected with asbestos, including the ceiling tiles and floors, may cause them to shatter, or break on top or under you – not to mention disturbing the extremely hazardous asbestos fibers. If you are uncertain about the presence of asbestos in your home or the magnitude of the risk it poses, a professional can obtain a sample without fully releasing the asbestos. Professionals know how to recognize if a material has asbestos. They also know how to remove it safely. Keep in mind that in many parts of the country, disposing of asbestos materials into the regular trash collection is unlawful. The most important thing to remember is to stop the materials that contain asbestos from getting into the air and risk it being inhaled. Don’t ever sand, drill, or saw on or near asbestos materials. Also, according to the U.S. Environmental Protection Agency, it’s not advisable to vacuum or sweep debris that contains this material; doing so will break the fibers into even smaller and more hazardous fragments. Using a vacuum will also let the elements escape filtration, which will make them more dangerous. The EPA strongly recommends doing ample research when it comes to working with an asbestos removal company. Try to interview more than one, and be careful in your selection. Removing these dangerous materials can get costly, so you have to make sure to pick a reputable company. Shady practices in this profession might include scaring you into a high-cost service when there are cheaper alternatives that are just as effective. Check the company’s customer testimonials across the web and check their standing with your local government.